One of the American football wide receiver who is a free agent is Desmond Demond Bryant. He is famous as Dez Bryant. He earned All-American honors in 2008 when he played college football at Oklahoma State. Dez Bryant was born in 4 November, 1988 at Galveston County, Texas. His father name is MacArthur Hatton and mother name is Angela Bryant. He attended Lufkin High School. He was also named in All-American by Parade and Super Prep. He was one of the state’s top competitors in the triple jump. 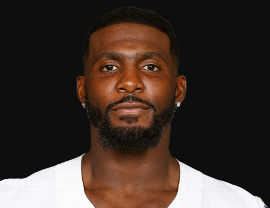 Dez Bryant’s height is 1.88 m and weight is 100 kg. His eye color is dark brown and hair color is also dark brown. He has the balanced and healthy body. In 2007-2009 Dez Bryant attended Oklahoma State University in which he was the member of Oklahoma State Cowboys football team. He also has the stellar season in 2008. He finished 2008 season with 87 receptions for 1480 yards and 19 touchdowns including two punt return for touchdowns. In 2009 he was considered the best wide receiver. Dez Bryant entered the 2010 NFL Draft on 5 November 2009. He was the best wide receiver. He traded up with New England Patriots. The team sent the third round draft choice to him which was the 90th overall pick also the fourth round draft choice which was119th overall pick. Dez Bryant was signed to a contract to Cowboys. He wore the number 88 which was announced on 23 July 2010. He caught his first NFL touchdown catch. He caught three passes for 104 yards and one touchdown on 15 November 2010. His ankle also got fractured. However, he finished the season with 45 receptions for 561 yards and six receiving touch downs. In 20010 he was named as NFL All-Rookie Team. He started the 2011 season. Afterwards he was also not given officially start for the game. Then he recorded four receptions for 76 yards on 9 targets. In 2010 he had 28 receptions for 435 and three touchdowns on two starts. Altogether he made 928 yards and 9 touchdowns in the season. Dez Bryant made his most productive year of his career. He was chosen as first-team all-Pro. He was also selected as the second consecutive Pro-Bowl appearance. He made six passes for 158 yards and two touchdowns in the second quarter alone. He finished the season 2014 with 88 receptions for 1320 yards and 16 touchdowns. He was again ranked on the NFL Top 100 Players of 2015. In 2015 he extended the agreement on a five-year contract. For 2015 he had 401 receiving yards and 3 touchdowns. He was then again ranked as NFL Top 100 Players of 2016. Dez Bryant was kept in pause as he had the facture. But after wards he played and gave best performance of the year. He was named to the Pro Bowl for third time in his career. He was also ranked in 60th on NFL Top 100 Players of 2017. In 2017 season he played and completed the season with 69 receptions for 838 yards and six touchdowns. 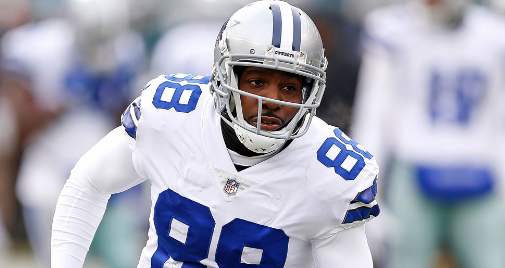 Dez Bryant after the eight season with Dallas Cowboys he was released on 13 April 2018. Dez Bryant is in relationship with IIyne Nash. He has three children whose names are Isabella Rose, Dez and Zayne. Though he is not married. Dez Bryant net worth is estimated to be $4 Million.